My interest in Harry Nilsson came through coversong, most specifically 1995 covers album For The Love Of Harry: Everybody Sings Nilsson, which I picked up when it was new in order to gain access to otherwise-unavailable rarities from Marc Cohn, Aimee Mann, and a solid roster of other perfectly tuned oddities (like, say, Fred Schneider of the B-52s doing a pitch-perfect version of Coconut, or the infamous nasal harmonies of The Roches applied to a space-age Spaceman). Purchasing the album was a revelation: here was a set of tunes that were all strangely familiar, yet I had never realized that they were all from the same guy. For the rest of my life, a huge set of the songs in the very air of modern American culture would have new relevance to me — which is to say, Nilsson’s work remained ubiquitous as it had always been, but this time, when I heard his songs, I knew how to connect them. Nilsson is best known in the world of cover collectors for his incredible cover of Beatles classic You Can’t Do That, which combines bits and pieces from 22 other songs from the Beatles catalog, and for his definitive version of Fred Neil’s Everybody’s Talkin’, which appeared in the soundtrack to Midnight Cowboy, and would later be covered by dozens of others, far too often erroneously attributed to Nilsson himself. His voice is familiar to Western culture due to an almost unprecedented turn as a composer for and song contributor to over fifty film and television soundtracks, from the theme song to The Courtship of Eddie’s Father to the entirety of the songs written for the sorely disappointing Robin Williams/Shelley Long vehicle Popeye. You may have also seen his oddly endearing 1971 made-for-TV morality play and kidproject The Point in your own childhood, as I did; Nilsson claims he had the idea for the project while on acid, and it shows. But Nilsson was more than just a soundtrack and novelty song guy. A highly prolific and versatile artist in the sixties and seventies, Nilsson released twenty albums between 1962 and 1980, when illness and exhaustion, coupled with the death of his friend John Lennon, drove him away from the studio. He was an incredible songsmith, as his high coverage speaks to; he had a way with a tune, and an ability to speak wistfully yet wryly about cultural alienation through finely honed lyrics floated upon a full wash of rich, orchestrated sound. Discovering his work has been a joy. Knowing that I have only hit the tip of the iceberg is even more wonderful. Despite high pop culture credibility and two Grammy Awards, it is generally believed that Nilsson’s tendency towards constant reinvention and vast shifts in musical style throughout his career kept him from the recognition that he truly deserved. But over a decade after his death, a quick peruse of the blogosphere reveals that Nilsson continues to have a huge fan base among audiophiles, many of whom believe that his true genius was criminally underrated throughout a highly productive career pushing the envelope of sound and sarcasm, irreverence and grandiose instrumentation. Tellingly, Lennon, who shared Nilsson’s disdain for commercialism, was also a fan; in turn, I’ve heard bloggers I trust refer to Nilsson’s work as “Beatles-esque”, and though I’m not the hugest Beatles fan, I can see what they mean. And any musician who had his work included in High Fidelity — which is, after all, about music with a high credibility factor — automatically gets counted as one of the best of the underrated bunch. I didn’t grow up with Nilsson in the house; as such, I owe a huge debt to the musicians I love and the blogosphere at large for my increasing fandom of Nilsson, who not only helped me put a name to this culturally ubiquitous voice, but taught me that there was more to this artist than soundtracks, misattribution, and “put the lime in the coconut”. As thanks and in tribute to the power of iconoclasts everywhere, here’s some of my favorite folk-tinged Harry Nilsson covers, from the great, lazy jazzgrass jams of Glen Phillips and Nickel Creek side project Mutual Admiration Society to Steve Forbert’s torn, wistful take on The Moonbeam Song. Welsh popfolkie and early Apple recording artist Mary Hopkin takes an orchestrated turn on The Puppy Song, while a previously-posted Victoria Williams deconstructs the song into something playfully delicate and warbly; Marc Cohn croons Turn on Your Radio as a slow, inimitable blues with soulful vocals and a Nilsson-esque wash of sound. Canadian folkie Reid Jamieson‘s lovely, lighthearted solo acoustic take on Nilsson obscurity Nobody Cares About The Railroads Anymore alone is worth the price of admission. The Asylum Street Spankers are their ragged, irreverent selves, bringing an eerie saw and some doo-wop vocals to an acoustic Think About Your Troubles off their children’s album Mommy Says No. And who could resist the indie folkrock of The Format to top things off? Enjoy. As always, our inclusion of links to the above artists’ stores and homepages should be taken as a tacit urge to support the continued creation of artistic genius in our culture by buying music, directly from the artist wherever possible. Which is to say: buying this stuff from the musicians justifies our existence, and theirs, so do it. What, more? I was tempted to drop a long list of covers of Everybody’s Talkin’ here to serve as today’s bonus coversongs, but we’ll save that for a future Single Song Sunday. 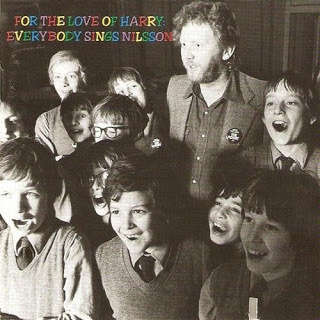 Instead, I’m going to suggest that, as with many prolific artists who treat musical output as an avenue for genre exploration, Harry Nilsson’s diverse output includes more than a few tracks which reflect the trope and stripped down sound of modern folk, even if they are ultimately best classified as classic radio poprock in context. Here’s a few covers from Nilsson’s lighter side. Cover Lay Down publishes new content Wednesdays, Sundays, and sometimes Fridays. Victoria Williams is a songwriter’s songwriter’s songwriter, a darling of the in-crowd: married to underground folkstar Peter Case when she released her first album in the mid-eighties, she has spent the bulk of her married life with Mark Olsen of the Jayhawks, with whom she cofounded the Creekdippers (aka several other names that have the word “creekdipper” in them). 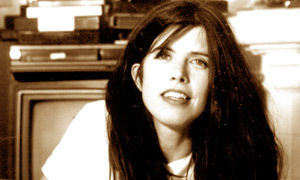 The turn-out for Sweet Relief, a benefit concert/recording made shortly after she was diagnosed with Multiple Sclerosis in 1993, included acts from Pearl Jam and Soul Asylum to alt/indie luminaries Lou Reed, Michael Penn, Evan Dando, and Lucinda Williams. But let us not think that Williams is worth celebrating merely because of who she knows. Her lyrical scope is voracious, if the lyrics themselves endearingly dorky; she is just as able writing a cute song about shoes or weeds as she is at telling stories of the smalltown and Southern. Her light voice has a quiver and a rasp that lends itself especially well to the loose stringed rhythms and the playful instrumental and back-vocal layers she favors in her performance; it floats beautifully over even the strongest production, like a hymn on a broken guitar. And she’s a sonic folk experimentalist of the first degree. In a world populated by Devendra Banhart and Marilyn Manson, Rolling Stone calls her weird, and they mean it as a compliment; it’s no wonder she’s so well respected by insiders well known for pushing the envelope of the sparse, the soulful, and the grungy. Though Williams’ mass popularity has never truly caught up with her famous fan-base, it’s certainly not for lack of determination. Fourteen years post-diagnosis she’s still performing — mostly with the California-based alt-grass jam band The Thriftstore Allstars, though according to her fan site, she’s been on the road with indie darling M. Ward enough to be considering a co-release. Victoria William’s most recent projects have not yet produced much beyond buzz and bootlegs, but you can still hear her voice in recent releases by hubby Mark Olsen, including 2007′s Salvation Blues, over at Olsen’s Myspace page. I also highly recommend her older work with and without the Creekdippers, and her 2002 collection of old-time covers Victoria Williams Sings Some Ol’ Songs, all available via the Creekdipper website store. You know, just to tide you over while you wait for that M. Ward / Victoria Williams release to materialize.